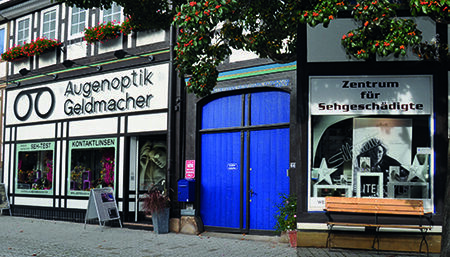 At Geldmacher Opticians, based in Bad Salzdetfurth near Hildesheim, Germany, we offer our customers top advice and first-class quality with style and personality, and have done so for over 60 years. Today, our work is supported by cutting-edge measurement devices and our own master-optician workshop. 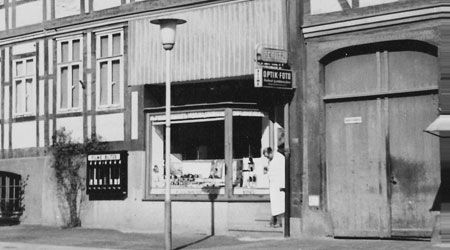 Our business was founded by Robert Geldmacher, the family’s first optician. In the post-war period, the company quickly established itself as an institution in Bad Salzdetfurth, a small German spa town. Geldmacher’s daughter Christa and son Horst both completed their training in the family-owned and run company. After completing his training, Horst and his wife Elvira, a trained optician herself, moved to Berlin. At the state school of optics and photo technology (SFOF) in Berlin, Horst completed his degree as a “state certified optician” and “master optician” in a three-year training course. Their son Kolja was born during this period in Berlin and spent his childhood in Bad Salzdetfurth, where Horst took over his parents’ opticians business. Having also acquired training as a photographer, Horst expanded his activities as an optician to include photography. In 1996, Horst’s son Kolja completed his three-year training in the family business and then moved to Berlin with his wife Sylwia to attend university. In 2004, he completed his studies at the SFOF, which was now integrated in the technical university in Berlin (TFH), earning a degree as a graduate optician/optometrist. In 2001, Horst Geldmacher had converted the business into a private limited company (GmbH), which paved the way for the company to be transferred in the following years. On his 30th birthday, Kolja Geldmacher became a joint Managing Director of the company and played a key role in shaping the future of our company. 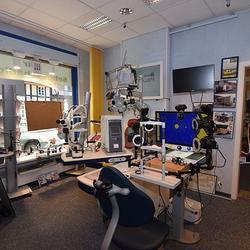 Since 2001, Germany’s first low-vision centre has also been part of our opticians business in Bad Salzdetfurth. 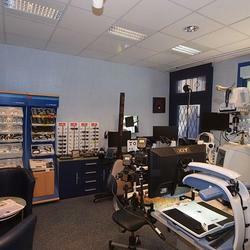 We present the entire optics spectrum in our spacious, modernly furnished optical shop in Bad Salzdetfurth. Our great strength compared to other opticians is our wide range of options for examining our customers’ eyes thanks to our state-of-the-art optical instruments. This allows us to determine the new lenses more quickly and precisely and offer top quality at fair prices. For our customers, this means a whole range of additional benefits. We have a direct influence on quality at all times, and we are continuously improving this quality. 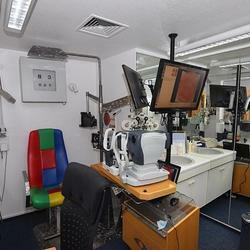 Our ongoing investments in our optometry instruments keep us at the cutting edge of technology. So it’s no surprise that the press has lauded our excellent value for money. We also offer a direct, personal connection to our customers. For instance, when you ring Geldmacher Opticians, you are not placed on hold with a computer voice asking you to wait. Instead, you are able to speak with a qualified staff member immediately, who will help you with any questions or issues you may have. Our shop employs only trained opticians who are passionate about optometry, know what they are doing and stand behind everything they do. For us, service means that we always find a quick, needs-oriented solution for our customers. Our employees’ commitment and competence are at the foundation of our success. Determining the right lens is still done by hand, even if state-of-the-art machines assist in the work. Every move has to be just right and must be carried out cleanly and precisely.